Few thought the Chrysler group, including Chrysler, Dodge, and Jeep would become a significant automotive powerhouse when Sergio Marchionne burst onto the scenes in 2009 to make an offer to take over the company when no one else would. Even President Barack Obama was reluctant to help Chrysler after the automotive meltdown which led to the bailout of General Motors, although he (some say reluctantly) agreed to let Chrysler stay alive when Marchionne, still in the process of saving Fiat, rode in like a knight in shining armour. I vividly remember the first North American International (Detroit) Auto Show that Sergio attended. Along with dozens of other auto journalists, I hung at the Chrysler booth on the auto show floor waiting for him to appear. I had asked our local Chrysler representative, Kimberly Shults, to introduce him when he appeared. She said she had yet to meet him. I somewhat flippantly said then I would speak to him in Italian and introduce her. When he appeared in his signature sweater, I was somehow lucky enough to be directly in his path and I spoke to him in Italian, welcoming him to the American automotive world. He stopped, chatted a couple moments about being glad to be here, right across the border from his college alma mater, the University of Windsor (he earned both a Bachelor of Commerce and an MBA there). He had lived in Windsor, Ontario, Canada since twelve years old, having emigrated there from Italy with his parents. I followed through on my promise to try to introduce Kimberly to Sergio, saying, again in Italian, “this is one of your best employees handling us in the Texas region.” He looked at me with a wink saying he would quickly learn about all his employees “the Italian way.” I later found this to be true as he often commuted from Italy to the United States, having meetings in Italy in the morning with Italian employees and later in the evening with employees in the United States. From my vantage point, he did seem to use “the Italian way” to promote and weed out employees, seeking out the best and most talented by “keeping your friends close, but your enemies closer.” Chrysler was reshaped in record time. No one gave Chrysler, the weakest link in the American automotive world, a real chance at emerging from bankruptcy, but they didn’t know Marchionne. He turned the company around with a series of bold moves, including separating RAM from Dodge, to create a separate truck division, a move that raised a number of eyebrows, just as many of his moves did. 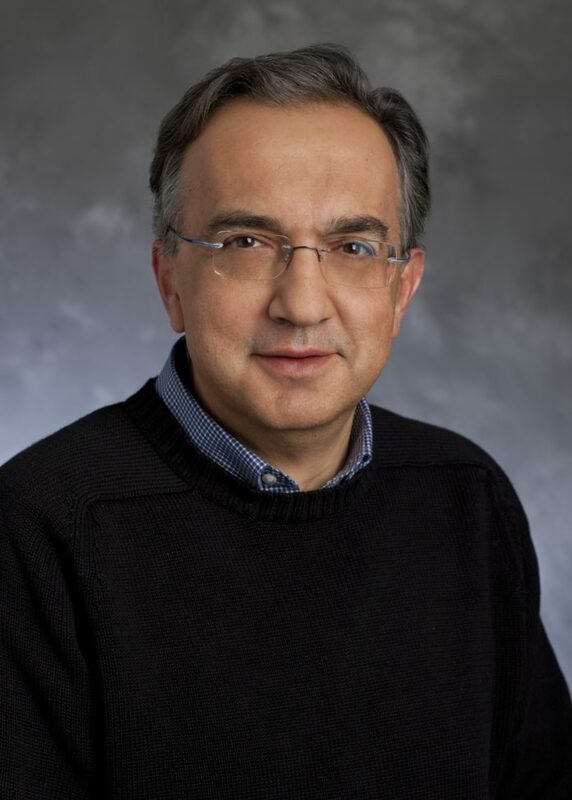 Marchionne’s successful leadership became apparent to all when he repaid all government loans in 2014 and was producing some of the best vehicles in the world. I still remember speaking with Dodge employees back in the early 2000’s about Dodge trucks being the worst riding of any truck and them saying something to the effect of “people want to know they are in a truck, we make them that way on purpose.” He turned that around. Now, new RAM trucks are the rival of any luxury car with their smooth rides. My reviews of Dodge trucks also jokingly said the company must have stock in Exxon/Mobil because their fuel efficiency was so terrible. This has been turned around as well with RAM now leading the trucking world in fuel efficiency (as well as the cars produced by Chrysler and Dodge being economy leaders according to the EPA). The company has proved “you can have it both ways” as well, being the only mass manufacturer to produce Hellcats sporting over 700 horsepower across it’s vehicle lines. While fuel economy is not the hallmark of the Hellcats, fun certainly is as FCA – the name of the successful company Sergio created – remains a leader as Sergio passes from the scene. In just the past four years, Fiat Chrysler’s stock price almost quadrupled under Marchionne. On Saturday the world learned Marchionne would not return to FCA, with a statement from the automaker, “unexpected complications arose while Mr. Marchionne was recovering from surgery and these have worsened significantly in recent hours.” Today, news broke that Mr. Marchionne had passed away. “Unfortunately, what we feared has come to pass. Sergio Marchionne, man and friend, is gone,” said John Elkann, who chairs the board that overseas FCA. “I believe that the best way to honor his memory is to build on the legacy he left us, continuing to develop the human values of responsibility and openness of which he was the most ardent champion. He leaves a solid base of leaders including Mike Manley, who replaces him as CEO and Jim Morrison, Head of the RAM brand.